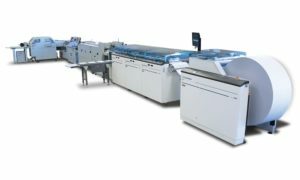 The Standard Horizon StitchLiner Mark III features expanded booklet size and increased productivity up to 6,000 booklets per hour. 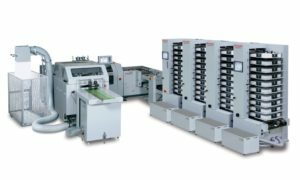 The system can produce a wider range of applications, including landscape-size booklets, 12” by 12” calendars, and pocket booklets down to 4.5” by 3.5”. 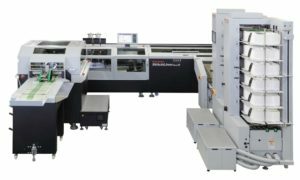 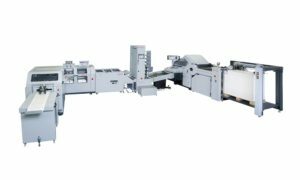 The Standard Horizon StitchLiner 5500 Saddlestitching System bridges the production gap between existing flat-sheet collating/bookletmaking systems and conventional high-volume saddlestitching lines.